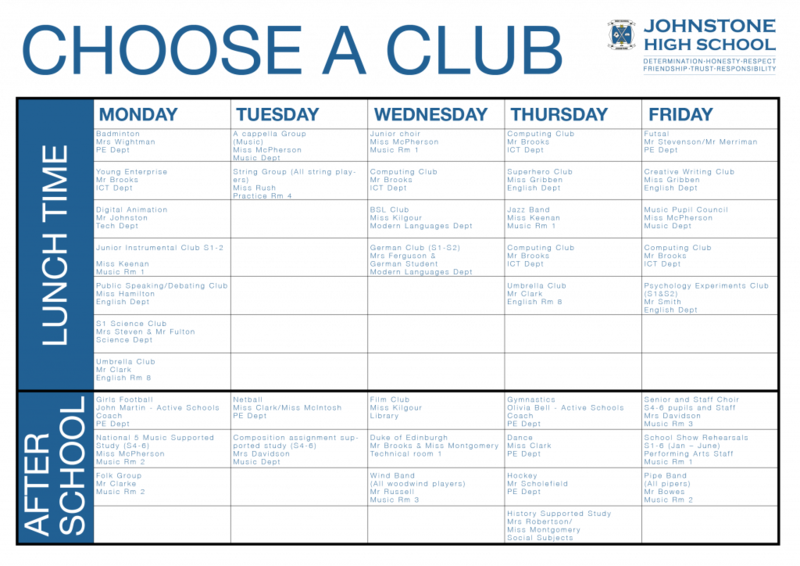 Please find below the extra curricular opportunities for our pupils. 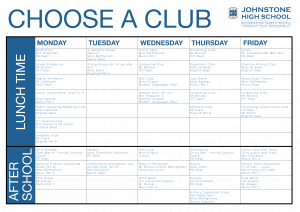 Extra curricular activities play an important part of life at Johnstone High School and this provides an opportunity for pupils to get involved. So if you are interested, please pop along or approached the member of staff in charge.